Today is the 2014 FIFA World Cup Finals between heavyweights Germany and Argentine, two of the best teams going into the tournament that comes as no surprise to the sports analytics world, Bloomberg Sports and many of the billions of fans worldwide. When trying to get all of the key soccer stats and info, a new API, powered by 3SCALE, is now available from Soccermetrics for media organizations, sports teams, software developers and soccer leagues. Soccermetrics’ Howard H. Hamilton, Ph.D., and Guillaume of 3Scale, spoke to the Sports Techie community blog from here in Atlanta and in Barcelona, Spain, about how Soccermetrics soccer data and analytics was born to ponder problems in applied mathematics and statistics that have applications toward a better understanding of soccer. When trying to get all of the key soccer stats and info, a new API, powered by 3SCALE, is now available from Soccermetrics for media organizations, sports teams, software developers and soccer leagues. Soccer has been the last of the major sports to witness a data revolution over the last ten years for a number of technical and cultural reasons. 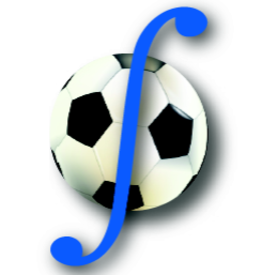 The Soccermetrics Connect API, is a sports modeling and analytics layer on top of in-match data sources at varying levels of complexity. The soccer API delivers advanced match analysis of data in an accessible form and makes it easier for end-users to create their own customized analysis tools on football data. Data has already disrupted industry and now it’s disrupting sport. These applications range from a macro level (team performance, comparative performance of national leagues) to a micro level (player performance and evaluation, influence of formations/strategies, indicators of future success). Biographical and demographic data of players, referees, and managers are captured. Venue data includes geographic data — not just city and country, but also latitude, longitude, and altitude — as well as capacity, field temperatures and field characteristics. Match data encompass not just data pertinent to league matches, but to group and knockout stage matches as well. The Soccermetrics Connect API permits distribution of rich data at all levels of complexity in a football match, whether a club match or one involving national teams. The core of the API is its access to match event data, from the major events such as goals, penalties, bookings, and substitutions, to summary statistics and the micro events that make a match happen — every touch and every movement of ball and player. The API makes it easier for end-users to create their own customized analysis tools on sports data. Averages, expected values, shot ratios, Pythagoreans, adjusted plus/minus are some of the metrics available. Soccermetrics Connect is a 100% Unicode, 100% JSON-based REST API. Because of this sport business trend, the pioneering sports technology Company unveiled a paid version of the API that end users will find packed with historical, statistical, and touch-by-touch data and analytics for every match of the World Cup in Brazil and more. The Soccermetrics Connect API is available at https://developer.soccermetrics.net, where you can find links to the API documentation and obtain your own API key. Soccermetrics Founder, CEO – Howard H. Hamilton, Ph.D. Founder, CEO – Howard H. Hamilton, Ph.D.
Howard is the founder and CEO of Soccermetrics Research, LLC. He earned a Bachelor’s degree from Georgia Tech here in Atlanta, and both a M.S. and Ph.D. degrees from Stanford University, all in Aerospace Engineering (otherwise known as Aeronautics/Astronautics in Palo Alto). 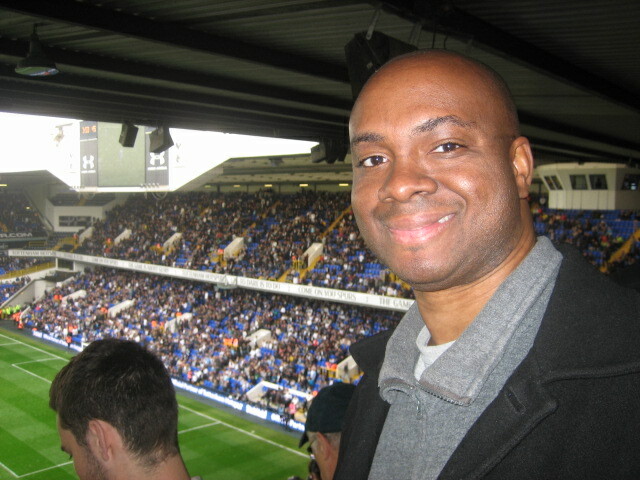 Howard shared that he attended the 2010 MIT Sloan Sports Analytics Conference expecting that sport analytics could explode and left thoroughly convinced the field was mature enough to ramp up his Soccermetrics vision. By 2011, Howard felt the discipline of soccer analytics was truly a game-changer. He grew the Soccermetrics knowledge base through Newsletter and Podcasts, and now has over 5,000 twitter followers @Soccermetrics including us. Howard searched for API management options and found 3Scale. API scalability is what 3Scale does and they were looking for strategic partners who valued their assets of allowing operators access and control of traffic via API’s. Their infrastructure gives their 430 customers in 13 different Industries, ranging from the Fortune 500 to startups, rapid access to researchable products hosted over the Internet in the clouds. Sports Techie, Within a few hours after the World Cup Final match ends, Soccermetrics will have posted data specific to the game many of you who are involved with sports teams, researching and entertainment, will all find valuable, I know I do. When I was the Director of Sales for Sports 2000 in 1997/98, Colonel Jim Thomes developed the pioneering GridIron 2000 together with the Super Bowl 48 Champions, Seattle Seahawks. The G.I. 2000 was an expert system that ran on Window 95 and was used for football game planning. We eventually scaled out the model for a US Soccer project together with their Coaching Development Director, Bobby Howe. Many of the GI2000 sports analytic components of the software have not only become standard mode of operations for the NFL, but I have witnessed a trickle down to MLB, NBA and NFL, and now, futbol, with FIFA National teams, the Premier League and MLS. Today, however, is a new soccer Big Data dawn because Soccermetrics launched a new soccer API, powered by 3Scale, to create sports tech history as will the winner of the 2014 FIFA World Cup.